No longer the hidden gem of the wine world, New Jersey’s wineries are exploding in popularity and quality. 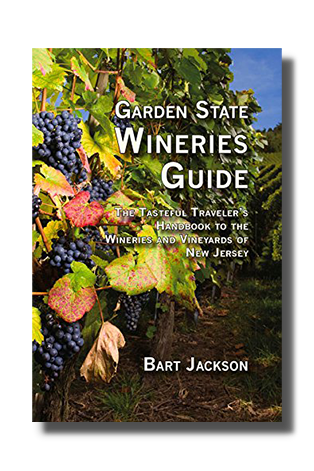 In the first guide on New Jersey wines and wineries published in more than a decade, Jersey’s native son, globe traveling wine taster and winegrower Bart Jackson has carefully profiled each of the Garden Sate’s wineries. His vivid descriptions, historical and factual data about the vineyards, index of the owners’ most prized wines, list of unique vintages, and depictions of special events entice the reader to hit the wine trail. Exact directions and day-size wine trail clusters are also provided. In addition, national experts Gary Pavlis and Anthony Fisher contribute tasting tips and regional essays.